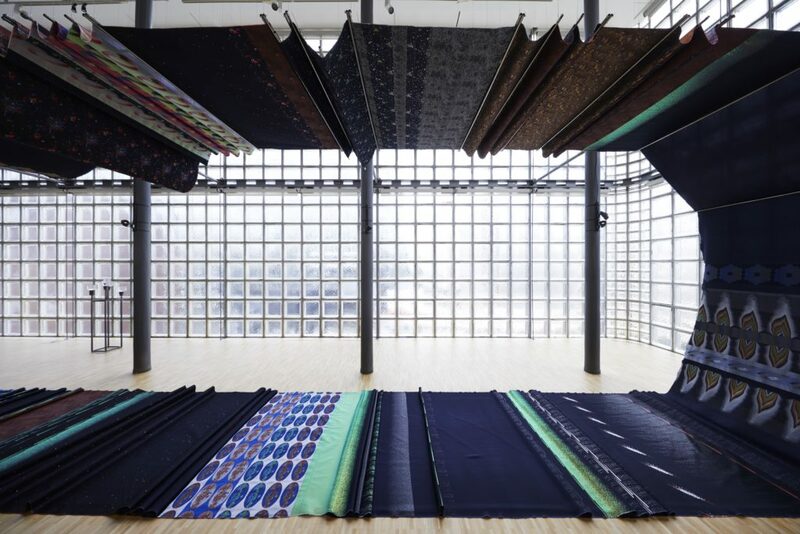 Observables d’Apeiron, 2016, silk, lurex, polyester, 4000 x 160 x 310 cm. Fondation d’Entreprise Hermès. Célia Gondol, « Who ordered that ? 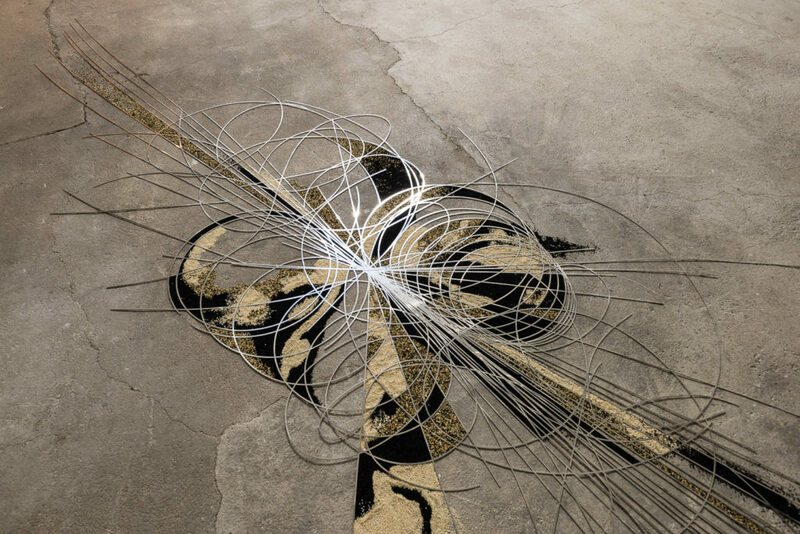 », 2018, bright annealed stainless steel, varied seeds, 440 x 220 cm. Exposition : « Physical Meanings », M O N T E V E R I T A, 2018. 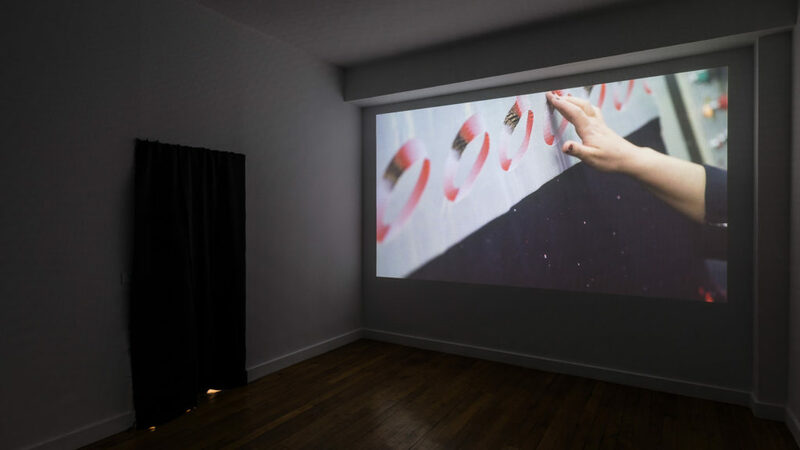 Célia Gondol, Visite, 2016. Video : 27’03. Célia Gondol was born in 1985. She lives and works in Paris. For some artists, the practice of art is above all else a way to give a shape to the insatiable curiosity sparked of by the world as it is given to us. It is an attitude, a perceptible availability, a need to translate, in practice, the enjoyable complexity of knowledge. In Célia Gondol’s research, this transposition takes us to the world of dance and sculpture, to the dimensions of sound, light and even to astrophysical observations. 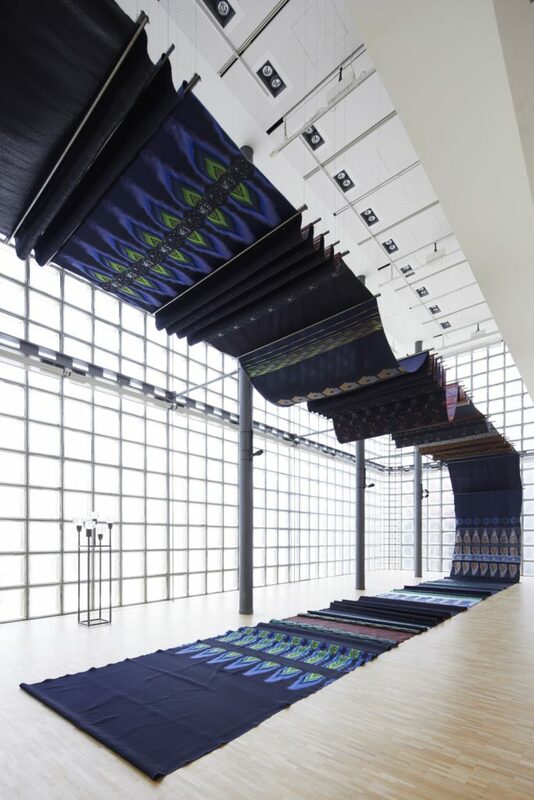 During her recent residency in a Hermès silk factory, she called on Hélène Courtois, an astrophysicist specialised in the cartography of expanding galaxies, in order to get inspiration from her documents and express them into the art of silk weaving. The final artwork is called Observables d’Apeiron (Apeiron Observables, 2016) and rolls out these representations of the “unrepresentable” over a twenty-five metre long width which the spectators are invited to physically cross. In Slow (2014), she invited a couple to perform a slow dance in the middle of the exhibition and layered a banana leaf between their bodies. When the audience moved closer to the dancers, they could hear them hum a pop tune, infused with gentleness and tenderness inside the codified space of the art venue. 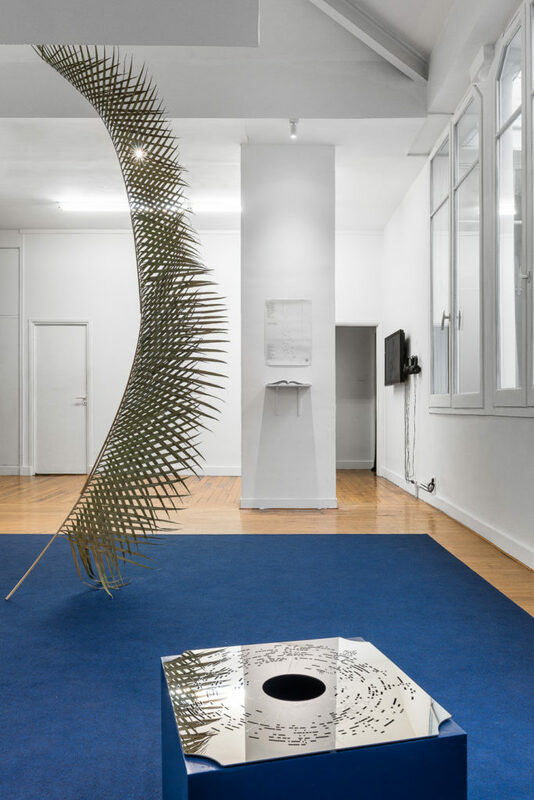 In the Songlines (2014) installation, she lets elements such as wood sheets and foliage plants “settle” under their own weight in space, merely supported by thin steel rods. In the video Agreement in compassion (2015), she filmed a young Thai woman who was covering a few palm leaves with gold leaf. The rallying point of these pieces which are, in principle, on different levels from each other, lies in this very delicate attention the artist pays to the interaction between bodies and their space, whether it is the body of the spectator crossing the large width, the bodies of the sculptures, the body of the young woman taking care of the tree and of course the bodies of the dancers. Célia Gondol started dancing at the age of eighteen and now practices regularly in a company and as a choreographer. To her this singular diversity, being a plastic artist and a dancer, forms an inseparable whole. It is asking us, when we are in front of her work, to be on the lookout for those moments of balance and grace in which something like a feeling may take the shape of a thought that will be free to touch us. As if the artist was leaving us with the responsibility of taking the time to watch, feel, think and experience something; all in all the time to live beside her.